A retooled social strategy allows markets to get in on every stage of customers' moves. Moving can be a frustrating experience. In fact, anyone who's ever moved knows that it can be downright expensive and time consuming. For those reasons, throngs of people often attempt to cut out the middlemen—i.e. those pricey, sometimes stoic, movers. And in the midst of a major move, people often take to social media to voice their concerns, frustrations, or even triumphs. That's why marketers for moving equipment and storage company U-Haul said they needed to find a way to identify their customers' social conversations and address them — quickly. "It's extremely important for us to have an open dialogue with our customers and potential customers online," said Toni Jones, social media director for U-Haul International. "When our customers are talking directly to us about our products and services, we find those to be the most important to engage in — immediately." Jones said responding to customers is imperative for swiftly dissolving customer problems and bolstering the brand's reputation. In fact, she contended that during the company's peak months in the summer, customers send more than 20,000 messages that address everything from good or bad customer service in U-Haul stores, problems with equipment and weather–related issues, or even tweets of joy when a move is complete. The sheer volume of tweets and other social mentions, however, can make those social conversations difficult to respond to or even identify. So in January 2012, the marketing team at U-Haul began using social listening tools from Sprinklr to pick up on those important conversations happening on social media. "We have escalation cues," Jones explained. "So, for example, if a customer is complaining about a breakdown with their equipment, or if they're physically in the store complaining about the service that they're receiving, we're going to address those quickly because we're able to track those messages." Jones said marketers at U-Haul organize social conversations with tags — or subject codes — that categorize topics of discussion. And with thousands of messages now sorted out, U-Haul's marketing team has set a stringent standard: respond to complaints and comments on social within 30 minutes during operating hours. She said that can be a challenge because the brand's name is so ubiquitous that marketers have to sift out conversations which may not be talking about the brand at all. "U-Haul is a household name. The term ‘U-Haul' is used in a lot of common phrases, or it's used in associations that have nothing to do with our brand. It's extra noise for the [marketing] team. So we really try to focus on those mentions directly around our products and services," Jones explained. "All of social media has been a really great way for us to get that messaging out quickly," she continued. "It's a great way for us to tap into a community that we've established already." In fact, marketers at U-Haul have taken social conversations one step further with the brand's #UHaulFamous hashtag campaign, which encourages customers to share their photos on social media and at UHaulFamous.com for a chance to get the shots plastered on the side of a truck. Customers have submitted more than 18,000 photos, and more than 5,500 trucks are displaying those personal pics. 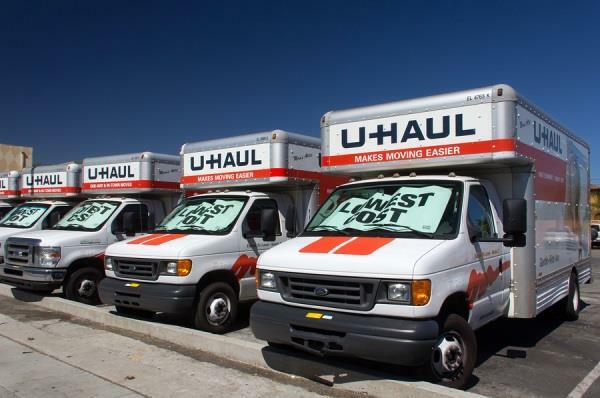 "We want to show them that the move is not about U-Haul; it's about the customer," Jones said. Jones and her team noted that continuous conversation and engagement is working. They said response times are up with about 70% of all issues resolved in a half hour; about 49% are addressed in fewer than 15 minutes. With social analytics and listening tools, marketers at U-Haul say they're now able to track link referrals and record conversion metrics. With this retooled social strategy, Jones said U-Haul has managed to help customers at every stage of their moves, share customer stories, and get in on daily conversations. "It's a lot of fun. It's a great way to increase that positive sentiment of our brand, to extend the conversation," Jones added. "It's really a way to celebrate them. It's all part of a bigger experience — their experiences. And [through social], we've really been able to celebrate that." This story originally appeared on Direct Marketing News.